In Part One, I covered some lesser known safety issues with the combination measles, mumps & rubella vaccine. Now let’s talk about the company that makes it. Merck & Co. is a U.S. corporation headquartered in New Jersey and the world’s seventh largest pharmaceutical firm. It was founded in 1891 as the U.S. subsidiary of a German company by the same name. The U.S. confiscated the subsidiary after World War I and established it as an independent company. When you start researching vaccination, it can be quite overwhelming, there is just so much research that questions the necessity, effectiveness and safety of vaccination. Once our decision is made, and we know that the current vaccination schedule or policy is not for us. A lot of us know why we don’t want to vaccinate or why we choose to delay or selectively vaccinate, but with so much information available we don’t know how to express it simply and succinctly to others. These cards can be downloaded and printed out, so please share them far and wide. 1. There are serious concerns about the safety & effectiveness of vaccines. 2. Detailed information about vaccines is not readily available to enable people to make informed decisions. 3. The incidence and death rate from infectious disease declined dramatically before vaccines were introduced because of improved sanitation and nutrition. 4. Vaccines are grown using animal and human tissues and are contaminated with foreign proteins and DNA that can cause severe allergic reactions, also viruses from other species. 5. Vaccines contain toxic and known cancer causing ingredients including formaldehyde, aluminium, mercury, antibiotics, MSG. 6. Vaccines represent an un-natural exposure of the immune system to modified bacteria and viruses, can cause the disease they are supposed to prevent and lead to new diseases and conditions. 7. There have been no double blind studies to prove that vaccines work, studies into their long-term side effects or to determine who might suffer a serious adverse reaction. 8. Infectious diseases of childhood are beneficial to the immune system and protect against auto-immune and chronic diseases later in life eg. arthritis and cancer. 9. Vaccines do not offer any long-term protection against diseases even if booster shots are given repeatedly. 10. There is no compensation for damage from vaccines in Australia. Share with interested friends and family, leave in places you think people may read them and even keep them for yourself. Education and awareness are the keys to making an informed decision and unfortunately only the benefits are being promoted by government and medical organisations. It is up to us to make sure that all of the information is available for parents. This Bill abolished the right to conscientiously object to vaccination for the purpose of enrolment in News South Wales early education and childcare services and it is the most severe attack on the rights of non and partially vaccinated children to access an early education to date. it will be an offence (with a penalty of 50 penalty units) for a person to forge or falsify a vaccination certificate. Children who are enrolled prior to 1 January 2018 will not be affected by the changed requirements, that is, if enrolling a child in 2017 to commence child care in 2018 parents may continue to submit any one of the four existing forms (see Forms here). Which children are exempt from the new requirements? services providing education and care to children primarily on an ad hoc, temporary or casual basis (for example, crèches in shopping centres and gyms). Aboriginal or Torres Strait Islander children​​. A family has been able to get a medical exemption letter from their appropriately qualified GP upheld by the Administrative Appeals Tribunal without needing to use a Medicare medical exemption form This enabled them to be able to reinstate their childcare payments/rebates and FTB A lump sum supplementary payment. (2) the GP is NOT restricted to what the Australian Immunisation Handbook states are “valid” medical contraindications, because the GP importantly retains clinical autonomy. The legislation was already clear about these points but the Department of Human Services has up to now been blatantly disregarding it, assuming an illusory power to add its own restrictions. Who is an appropriately qualified general practitioner? a medical practitioner who meets Australian College of Rural and Remote Medicine fellowship standards. You can look up your GP to see if they are eligible (please see compliance notes,section 2 on page 2 of the GP letter) to provide a medical exemption letter here. Just get your GP to send it in to the Australian Immunisation Register and they will let Centrelink know that your child now meets all of the immunisation requirements. Please let me know how you go! This is Commonwealth legislation which affects families nationwide, but only to receipt of some social security benefits from the Commonwealth Government (via Centrelink). It does not stop enrolment or attendance in childcare directly. Apart from the Child Care Rebate and all Child Care Benefits (including Grandparent Child Care Benefit, Special Child Care Benefit or Jobs, Education and Training Child Care Fee Assistance), the only affected benefit is the Family Tax Benefit A end-of-year annual supplement (presently $726 per child). The other FTB Part A and Part B benefits are NOT affected. For 2016 only, you will receive half of your FTB A supplement payment as the legislation did not come in to effect until 1 January 2016. So if you were eligible for the supplement payment on the 31 December 2015 then you are eligible for $363 per child this year only. The FTB supplement payments are being phased out for everyone regardless of vaccination status by 2018. This is the state legislation that has been passed this year in Victoria, so it only applies in Victoria and relates only to access to child care and kindergarten in Victoria after 1 January 2016.
any other circumstance specified in guidelines made by the Secretary to the Department of Health and Human Services. The legislation does NOT allow for the children’s enrolment to be cancelled after the grace period ends, it only specifies that the childcare centre continue to provide support and information to the family. Similar legislation has also been passed this year in Queensland but it only allows child care centres to be able to deny child care access if they choose to based on vaccination staus(in Queensland). Enrolment of your child in child care in Queensland before 1 January 2016 will not provide any protection against any impact of this legislation. For those of you who are able to qualify for a medical exemption you can find the form here. What can you do if your child is refused enrolment in to childcare? For those parents whose children are banned from being enrolled in childcare based on their child’s vaccination status, you can also make a human rights complaint based on the fact that the state legislation breaches the federal Disability Discrimination Act 1992. UPDATE: A great new blog that spells out your rights under the Disability Discrimination Act 1992, here is something that discriminated parents can do to fight back themselves. Note however, in relation to all of these situations, the information in paragraph 4 below. The benefits to which “No Jab, No Pay” relates are not linked to the National Immunisation Program (NIP) schedule. The benefits are instead linked to schedules that are set independently by the Minister. They do not include any of the vaccines that are on the NIP schedule for over 5 years of age (e.g. they do not include the HPV vaccine). They also do not include all of the vaccines that are on the NIP schedule for under 5 years of age (e.g. they do not include any doses of the rotavirus vaccine, nor the hepatitis b vaccine birth dose, which is on the NIP for infants under 7 days old). 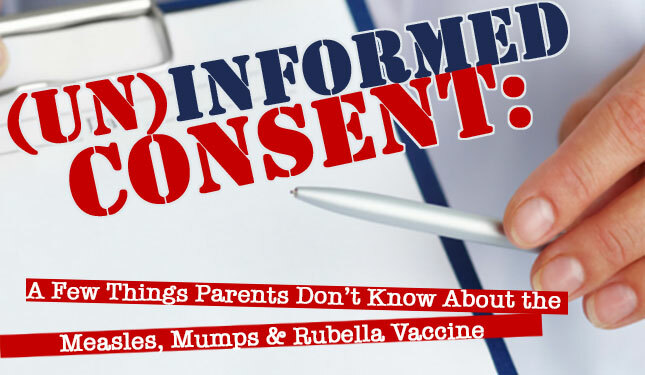 Without voluntary consent, an IP cannot legally vaccinate the child and doing so may result in the IP being held liable for civil assault and any resultant injury, loss or damage. The “No Jab, No Pay” and related legislation directs the Immunisation Provider (IP) and/or general practitioner to the Australian Immunisation Handbook 10th edition (“the Handbook”) for guidance in relation to assessment for medical exemptions or catch-up schedules. However, and contrary to the restrictive and definitive appearance of the medical exemption form, the Australian Government states in disclaimers that the Handbook “reflects the views of the authors and not necessarily the views of the Australian Government” and is only “a general guide”. It warns that “it is possible that errors have been missed” in relation to “dosage recommendations”, which “are continually being revised and new adverse events recognized.” The Handbook itself is also not definitive in a number of areas. Because it has been “identified that the assessment of medical contraindication can be complex” (as stated in the Explanatory Notes to the “No Jab, No Pay” Bill), an amendment made to the relevant legislation is that “a general practitioner, not a recognised immunisation provider, would now be required to make the certification in relation to medical contraindication”. The Senate also passed a Notice of Motion on 23 November 2015 recognising “that it is of critical importance that general practitioners remain able to use their clinical judgement in assessing children who are eligible for medical exemption”. The Australian Government, having taken such steps to ensure that the responsibility for such decisions will be carried by entities other than itself – primarily general practitioners (for medical exemptions), Immunisation Providers (for catch-up schedules) and/or parents, continues to “not accept any liability for any injury, loss or damage incurred by use of or reliance on the information” in the Handbook.